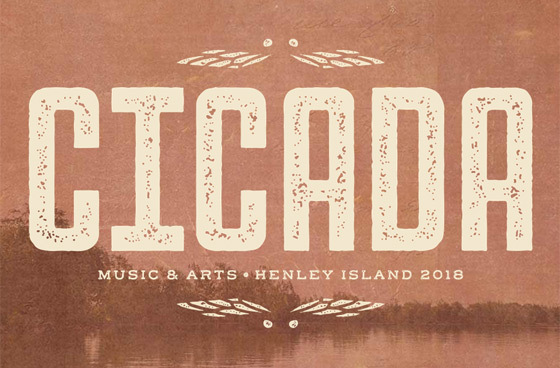 The Cicada Music & Arts festival is set to return to Ontario this fall, and organizers have roped in a lot of notable Canadian talent for the 2018 edition. The festival is scheduled for October 13 on Henley Island in Port Dalhousie, ON. Playing the event will be the likes of Dan Mangan, Said the Whale, Donovan Woods, Terra Lightfoot, Fred Penner, Spencer Burton, Joey Landreth, the Strictly Hip, Eleven North, Birds of Ontario and more. "The lineup for this year's event is an exciting one to bring to Niagara," said festival director Erik Dickson in a statement. "These are some of Canada's most popular artists right now, and all have great performance history in the region." In addition to all the musical arts, Cicada will host numerous food trucks, children's (and adult's) activities, and an alley of makers and artisans. Cicada was originally conceived in 2008 by Thom Lepp, who hosted the festival in numerous venues throughout the Niagara Region over the years. In 2011, Lepp was diagnosed with prostate cancer, leading the Lepp family to become involved with Movember Canada. When Lepp passed away in 2017, Cicada was resurrected as a way to carry on his love for music and to support the research and awareness of prostate cancer in partnership with Movember Canada. "Cicada Fest has meant a lot to the St. Catharines community over the years, and I'm proud to work with members of Thom Lepp's family to bring it back this year, especially in support of a great cause," said Dickson. For more information, visit the official festival website here.